Alyssa Byrd serves as president of Chatham Economic Development Corporation. She leads operations for the organization and is responsible for implementing strategies to promote and strengthen the economic well-being of Chatham County. 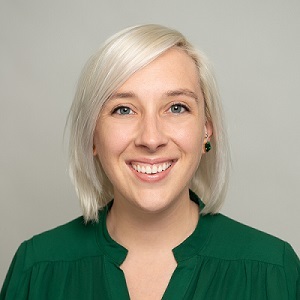 After graduating from the University of North Carolina at Chapel Hill, Alyssa joined Chatham Economic Development Corporation in 2011 and has assumed roles of increasing responsibility since. Alyssa enjoys serving the community and is active with several organizations, including Chatham Chamber of Commerce, Pittsboro Main Street, Triangle CREW, Siler City Development Organization and the Research Triangle Regional Partnership. She is also a member of the North Carolina Economic Development Association and the International Economic Development Council. Sam Rauf serves as the project manager for the Chatham Economic Development Corporation. He leads the organization’s business retention and expansion program and supports new business recruitment for Chatham County.  Prior to joining Chatham EDC, Sam worked with the Research Triangle Regional Partnership, an economic development organization sustained by and committed to 10 core counties including Chatham County. While at RTRP, Sam organized visits for foreign delegations, was the team lead on business recruitment research and assisted in social marketing efforts. Sam studied Economics at Roanoke College where he played soccer. He and a teammate also started a non-profit called Futbol Scholars to collect donated soccer gear for children in rural areas. 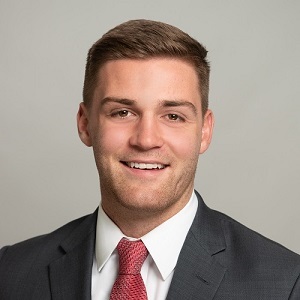 Sam is a native of Cary, North Carolina and enjoys supporting all of the local sports teams as well as exploring the outdoors.